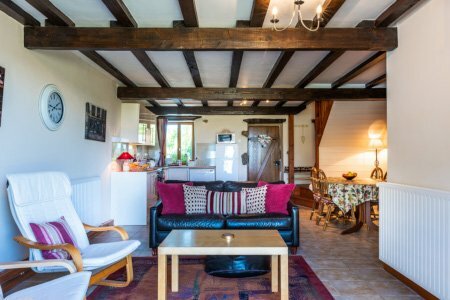 Please check the availability of Gite Le Sorbier using the calendar below. Once you find the dates you require, please contact us with your booking enquiry using the booking form below. Saturday in summer, but we are flexible in the winter. The gites will be available on arrival day from 4pm and must be vacated by 10 am on departure day. Please let us know if you are going to be late arriving. We require a 25% deposit to secure a reservation. This is non-returnable. The balance of the accommodation cost is due 9 weeks before the start of the holiday, together with a security deposit of £150 per gite. The security deposit will be returned when the property is vacated in good order.